Nazhoen Lamtoen, through their 12-month project “Building social protection system for vulnerable children and youth in Bhutan” is providing support and services to children and youth in difficult circumstances and those in conflict with the law. Enabling such children to reintegrate into mainstream society and advocate for policy change in support for such children will be their focus. 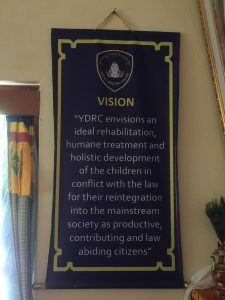 Establishment of a “shelter/diversion” home, renovation of the facilities of the Youth Development & Rehabilitation Center (YDRC), raising awareness amongst the children, parents and communities are the main activities. Stakeholder coordination of the National Commission for Women & Children, Royal Bhutan Police, Save the Children Bhutan, communities, parents and children has been a substantial output, because of the project activities. The major challenges faced by the implementers has been “non-cooperation” from the juvenile inmates’ parents/ guardians in counseling and common activities. This indicates that one of the many reasons for these children coming in conflict with the law could be due to the disengagement of their caretakers with these children. The need to educate the caregivers, parents and guardians is seen to be as important as taking care of the children.